If you could write a list of your top 10 favourite recipes, what would you include? Would there be a couple of recipes that you remember from your childhood and a few that remind you of a special occasion? 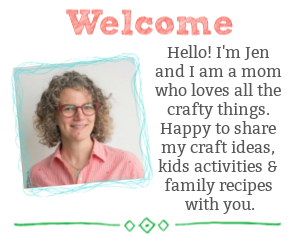 What about the first recipe you ever made? 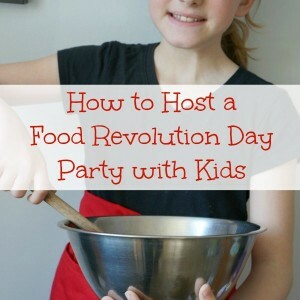 As we head toward Food Revolution Day (May 20th) the folks behind the Food Revolution are switching things up a little. Instead of focusing on only one day of the year, the Revolution is expanding to an everyday, all year long movement. Jamie Oliver has compiled his 10 favourite recipes – basic, healthy, go-to recipes – and he is sharing these recipes to get everyone back into the kitchen preparing healthy meals all year round. 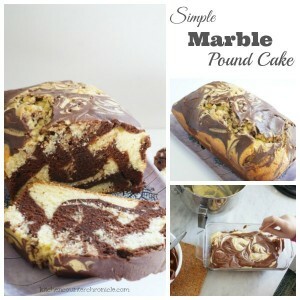 The best thing about a “basic” recipe is that anyone can put their own twist on the recipe. 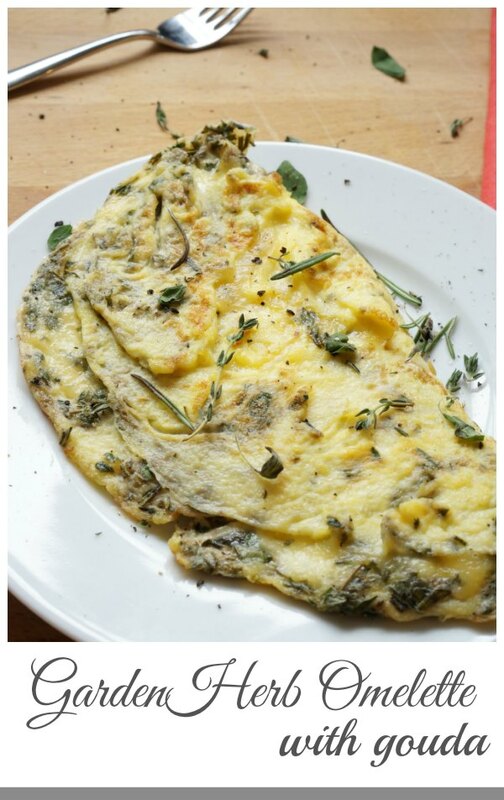 For instance, a Jamie Oliver’s simple cheese omelette…what an incredible blank slate. With a handful of freshly cut herbs from our backyard garden, we are able to transform an omelette into a flavourful savoury dish that is perfect for our busy family to enjoy any time of the day. There are few things I find more satisfying then cooking with food that my daughters and I have grown. While we don’t have the space in our small urban backyard to keep chickens, we most certainly grow lots and lots of herbs. 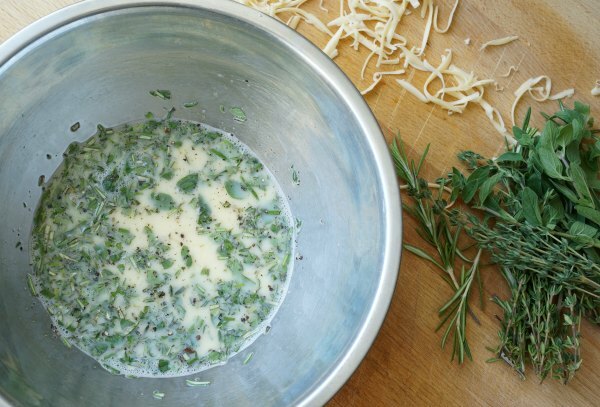 Fill your omelette with the herbs that your family loves to eat and a gooey cheese, like gouda. Take something simple and turn it into your own “top 10” worthy recipe. Whisk together eggs and milk in a medium bowl. Stir in chopped herbs. Choose whichever herbs your family likes. Melt butter in a small, non-stick skillet over medium heat. Pour egg mixture into the pan. Use a rubber spatula, pull the edge of the omelette back, allowing the uncooked egg to seep onto the exposed pan. Continue pulling back the omelette all the way around the omelette. Once the egg mixture is cooked, but still a little loose, toss the grated cheese onto the omelette. Use the rubber spatula to flip one side of the omelette over and on top of the other side – covering the cheese inside the omelette. Let the omelette cook for a few more moments, until the cheese is melted. Transfer to a plate and enjoy. An omelette is a fabulous recipe to make with children. 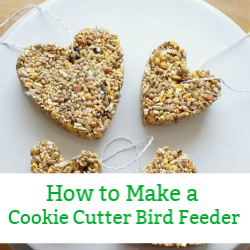 Young children can get their hands dirty cracking and whisking the eggs or grating the cheese. 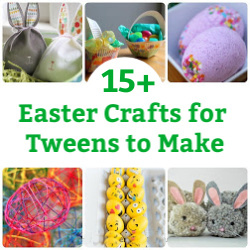 Older kids can try their hand at preparing the omelette on the stovetop. There is a whole lot of laughing in the kitchen when the time comes to fold the omelette in half. 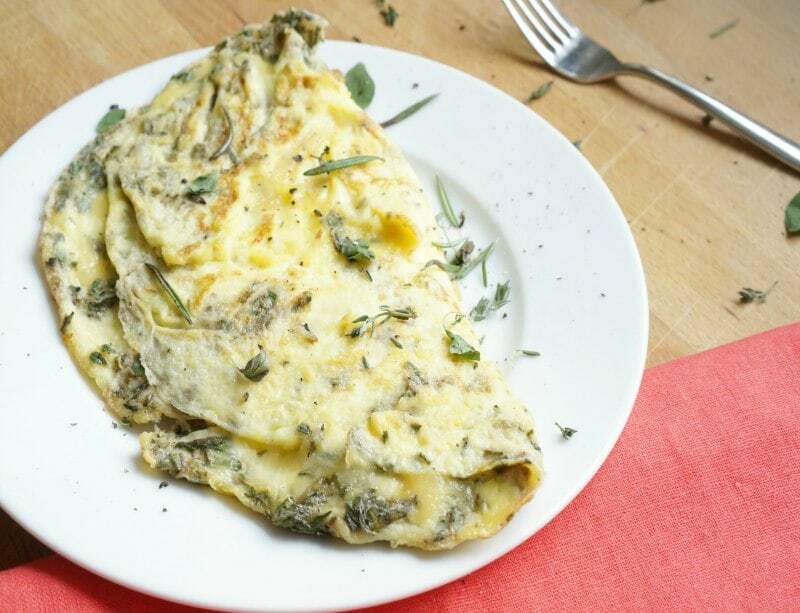 Fragrant and delicate herbs come to life in this garden herb omelette with gouda. What would you add to a simple egg omelette? Do you have a favourite omelette recipe? If you do, head over and learn more about Food Revolution International Omelette Challenge and share your omelette recipe on social media using #FoodRevolution. 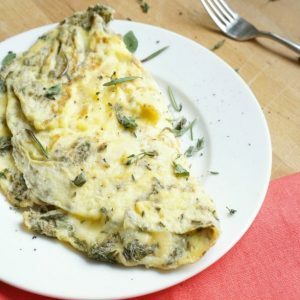 I love this simple twist on an omelette Jen!